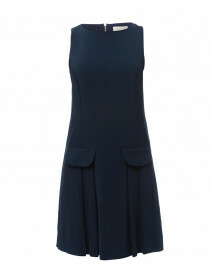 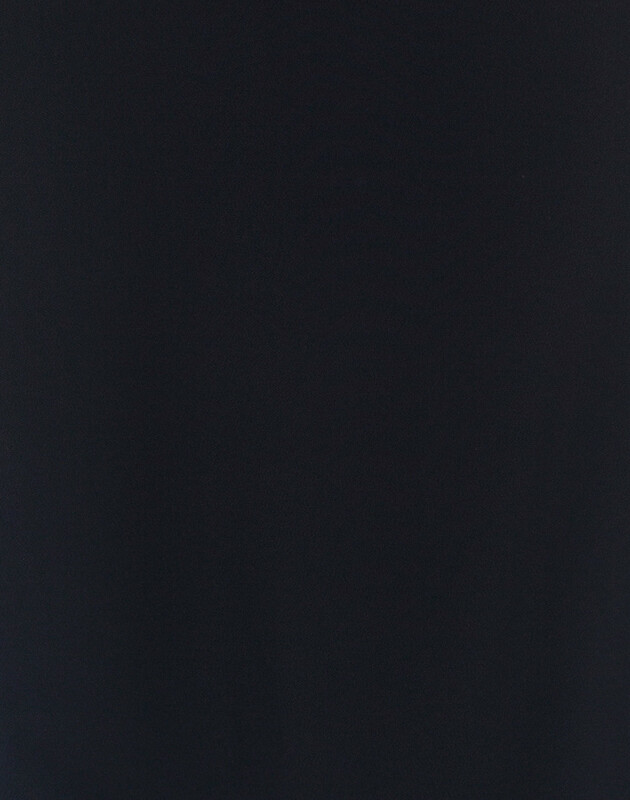 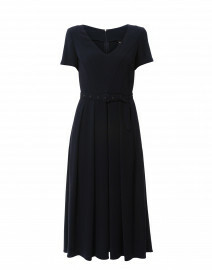 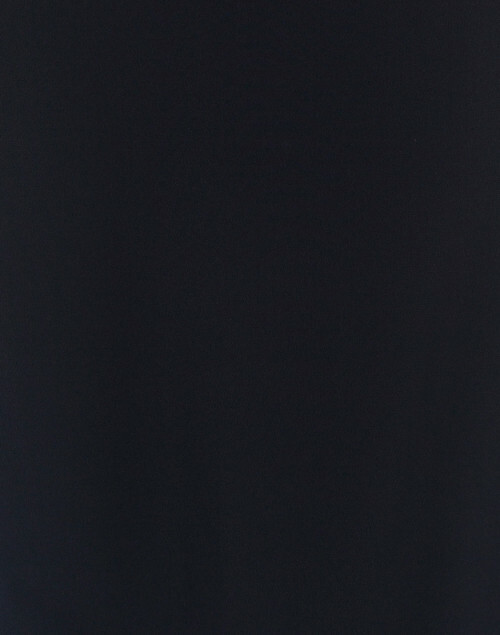 This navy Frank dress is a perfect example of Max Mara Studio's elegant, refined aesthetic. 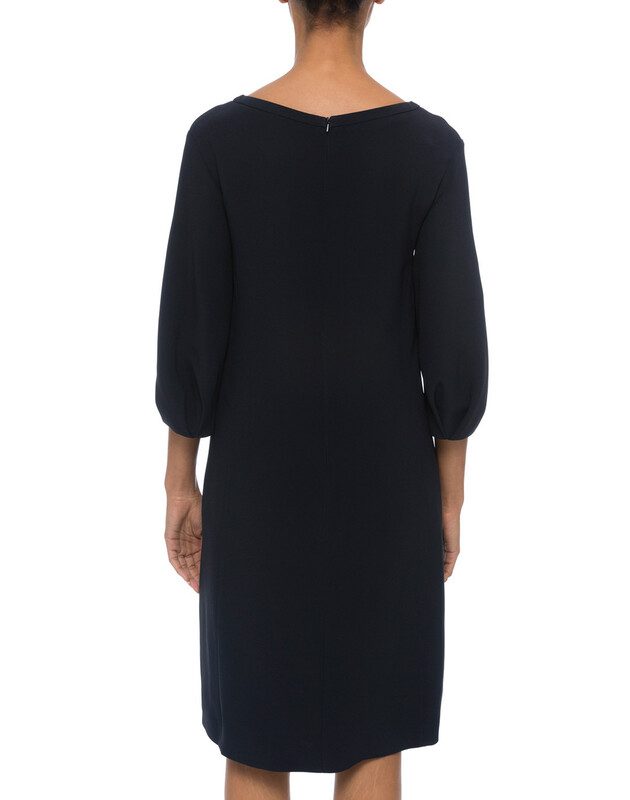 Crafted from crepe with a black sequin-embellished tulle insert, it’s cut to hang loosely over the body with inverted box-pleat cuffs for added volume. 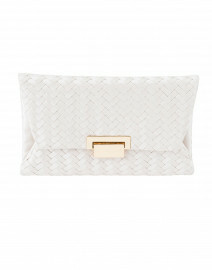 Team it with drop earrings and a silk clutch for a classic evening ensemble. 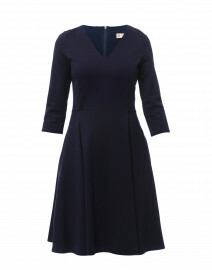 Length 37.5" 37.5" 38" 39" 40" 40.5"
Shoulder Width 16" 16" 17" 17" 17.5" 18"
Waist 34" 36" 37" 38" 39" 40"
Hip 37" 39" 40" 42" 43" 44"
Sleeve Length 15" 15" 15.5" 15.5" 16" 16.5"